Liverpool win 3-2 on penalties. Wayne Rooney scored a fine goal while Anthony Martial netted his fourth in as many games as Manchester United sealed a 3-0 victory over Ipswich in the Capital One Cup third round. Rooney brushed aside his recent troubles to opening the scoring with an expertly taken strike, and after the break, with United under the cosh, Andreas Pereira's superb free-kick double United's lead, dampening the visiting fans' spirits. Substitute Martial continued his fairytale start to life in England with another composed finish as a much-changed Ipswich were simply no match for a strong-looking United, who sealed a spot in the fourth round with consummate ease. United were expected to shuffle the pack pre-match, but it was their opponents who made 11 changes to their side, with Louis van Gaal naming a very strong line-up. However, McCarthy's men were anything but overawed, and caused United plenty of problems early on. Tommy Oar and David McGoldrick were linking up well down right flank against makeshift full-back Ashley Young, but United held firm, and opened the scoring thanks to a familiar face. Daley Blind lofted a fine ball over the top for Rooney, who held off his marker, controlled brilliantly, before lashing the ball in from the angle. 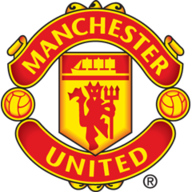 The goal settled United, who looked better on the ball as a result, with Juan Mata having several efforts from distance, but Ipswich held out until the interval. After the break, McGoldrick whipped a superb cross into the danger zone which was crying out to be diverted home, but no such attempt came, and United capitalised down the other end. 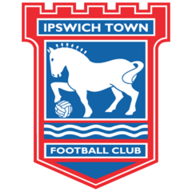 With Mata relinquishing free kick-taking duties to the youngster Pereira, the Brazilian stepped up to the plate with aplomb, curling a fine effort past Bartosz Bialkowski in the Ipswich goal, who didn't move. United then turned on the style, with Bastian Schweinsteiger orchestrating things from the middle of the park. Van Gaal brought on teenage sensation Martial and Memphis Depay late on, and the pair combined to seal the victory. Memphis acted as the target, bundled the ball into the path of Martial, who raced through, and slotted the ball into the bottom corner with the precision of a player way beyond his years, and sealed United's place in the fourth round, where they will take on Middlesbrough at Old Trafford.